I like the NIV version of 1 Peter 2:6 which says... For in Scripture it says: "See, I lay a stone in Zion, a chosen and precious cornerstone, and the one who trusts in him will never be put to shame." Shame is a powerful negative motivator. In the Garden of Eden, Adam and Eve were naked and unashamed until they partook of the tree of the knowledge of good and evil. It was then that they realized their nakedness and sought to cover their shame with fig leaves. The condition of shame still exists today in the carnal part of our soul. However our fig leaves look much different than Adam and Eve's did. Perhaps we cover our nakedness through a relentless pursuit of success and material wealth? Perhaps through religious striving? Perhaps isolation and self-protection? There are many ways that we try and combat feelings of shame in our lives. 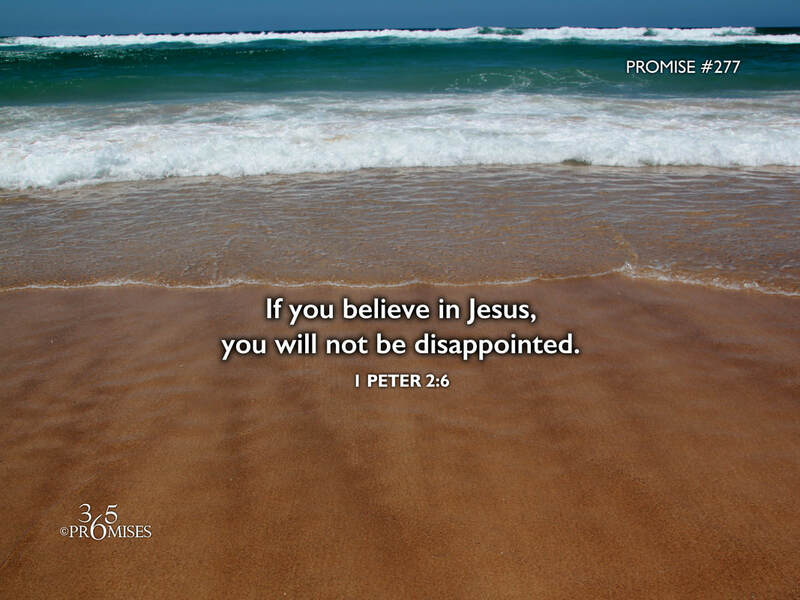 The good news of today's promise is that anyone who comes to Jesus, will NEVER EVER be put to shame or be disappointed. God's love is the covering that we need to cover every area of inadequacy that we feel in our lives. May we be so overwhelmed with the love of God today, that we will not run and hide from God (like Adam and Eve did) but rather we will run into our Father's loving arms.